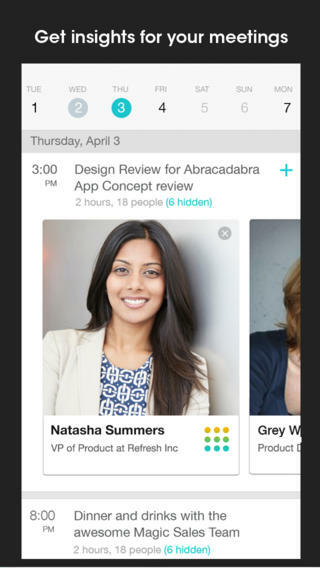 Refresh is a free app that prepares you for every conversation in every meeting. It works seamlessly in the background to find and beautifully display relevant insights about the people you’re going to meet. Easily sidestep small talk and spark real conversations that matter. 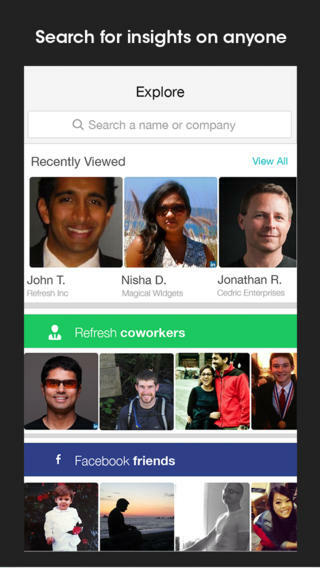 – Insight: Quickly view relevant insights on the people you’re about to meet. Refresh aggregates information from across the web (including Facebook, LinkedIn, Twitter, email, calendar, and contacts), and intelligently surfaces helpful insights all within a beautifully simple interface. – Meeting View: Know a little something about the people you meet before you step into the meeting. Effortlessly sync with your calendar and contacts and sifts through your scheduled meetings to prepare you for every conversation. – Email Integration: By integrating seamlessly with your email, Refresh has the keen ability to highlight relevant correspondences with the people you’re meeting. 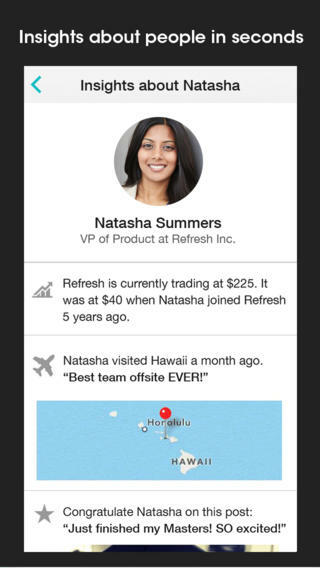 Refresh integrates with Gmail, Yahoo!, iCloud, and Exchange. 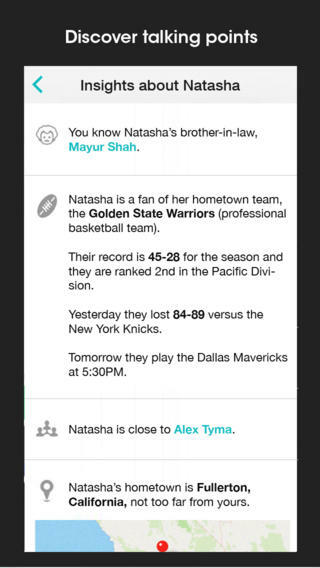 – Prompts + Notifications: Let the insights come to you by receiving alerts with up-to-the-minute information about your friends and future acquaintances. 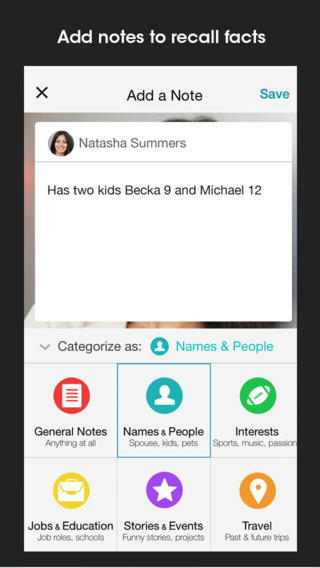 – Notes + Follow-up: Easily capture notes about the people you’ve met to jog your memory for the next conversation. 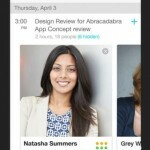 Refresh even pulls in notes from Evernote! 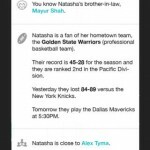 – Introductions: Introduce and connect people, all with one tap and all within the app! – People Search: Want information on someone that you’re not scheduled to meet? No problem. 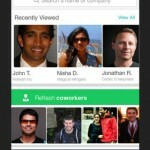 Search for anyone by name or company. – Privacy: Your data is private and only you have the power to share what you want. Questions or comments? Email us at [email protected] We love hearing from you. 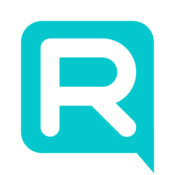 Follow us at @Refreshapp or Like us at https://www.facebook.com/refreshapp. – Search for insight on over 40 million people!